Most national and international news reported in the US is now an extended Red Scare narrative punctuated by stories about Trump’s unparalleled boorishness and recklessness, which can of course be blamed on Russia since Trump never would have been elected if thirteen Russian trolls hadn’t prowled the Internet for potential Trump voters and targeted them with information about Hillary Clinton’s international crimes and the global influence peddling operation known as the Clinton Foundation. The new bogeymen blamed for electing Trump—Facebook and Cambridge Analytica—are getting some play, but President Obama’s 2008 campaign won prominent advertising awards for integrating social and traditional media, and Carole Davidson, Obama’s 2012 Obama for America Media Director, just stepped up to say that Facebook allowed them to mine data. That doesn’t mean that rationality will win the day, and so far Russia treachery continues to dominate the news. Just last night my local community radio station—which prides itself on bringing you the news that no one else will because it doesn’t rely on corporate money—reported at least three Russia-did-it or Russia’s-about-to-do-it stories on its hour-long newscast One was a Feature Story Newswire about Bill Browder, an international investor who gave up his US citizenship to avoid taxes, became the largest foreign investor in Russia, after which he was convicted of tax fraud in Russia, and then testified before the House Intelligence Committee about Russian intervention in the last US presidential election. Browder now resides in Britain and says he’s likely to be the next target of an international Russian hit squad because he’s been a very vocal public critic of Vladimir Putin. 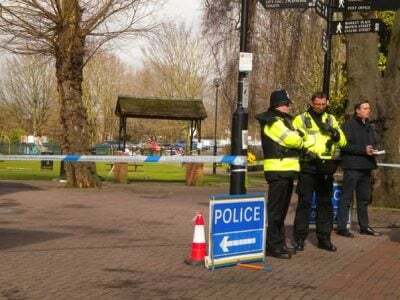 He’s demanding a firm British and international response to Russia’s alleged chemical weapons poisoning of defunct double agent Sergei Skripal and his daughter Yulia in a British cathedral town of 40,000 on March 4. Russia released Skripal from prison and sent him into retirement in Britain in a 2010 spy swap. However, since the formula for manufacturing Novichok is available in a book for sale on Amazon, we shouldn’t rush to conclude that the US or Russia or any other determinate entity used it in a botched attempt to assassinate the Skirpals. Corporate press, US and UK state press, and US and UK officialdom nevertheless univocally repeat that since Russia [the Soviet Union] manufactured Novichok, Russia must have been behind the attack. This text from a March 12 ABC News story is just one of many histrionic examples. ABC News: And today Prime Minister Theresa May told Parliament the weapon was Russian made!!! Theresa May: It is now clear that Mr. Skripal and his daughter were poisoned with a military grade nerve agent of a type developed by Russia. It is highly likely that Russia was responsible. LIONS AND TIGERS AND RUSSIAN BEARS!!! OH MY!!! UK Foreign Minister Boris Johnson was all over US and European airwaves snorting that “the Russian denials grow increasingly absurd,” and that Vladimir Putin had directly ordered this assassination-by-Novichok on British soil.